To Reduce Check-In Time at Festival: Pre-Purchase Tickets Online & Print-At-Home! It is recommended to arrive 30-45 minutes early if purchasing tickets at the festival. Regal Cinemas Box Office DOES NOT handle HRIFF Festival Ticket Sales or Check-In. Go to HRIFF Georgia St. Box Office - located at Georgia St. Ticketing Window next to Regal's Georgia St Entrance doors. Be prepared to wait in-line to purchase tickets or to pick up Will Call Tickets. For popular films and events, lines may be significant. Once tickets are picked up from HRIFF Box Office, head into the Regal Cinemas 14 lobby. Check-In at HRIFF Hospitality to be given entrance to your films specific theater. Get concessions and find you way to your cinema in this very large complex. This can be time consuming, and is why it's recommended to purchase festival tickets online and use Print-At-Home option. Make sure to allocate time to park, to visit HRIFF Box Office, to check in at HRIFF Hospitality, and to find your theater by the listed screening start time. Download our Festival Parking Guide. 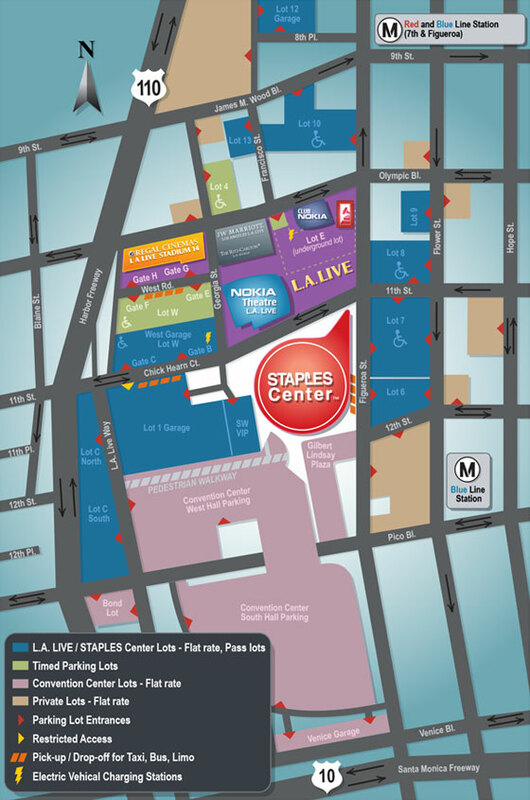 When attending a movie at Regal Cinemas L.A. LIVE Stadium 14, we strongly recommend parking in Lot 4 located on the north side of Olympic Blvd. at Francisco Street. All day parking for a flat rate ($10.00 - $20.00 is located across street in independent parking lots, not affiliated with HRIFF or LA LIVE / Regal Cinemas. Park at your own risk. There is street parking (free and metered) around the area of Pico & Grand streets in downtown and beyond, for those willing to walk (about 15 min) to the cinema. Closes 30 minutes after last screening of the begins. Open every festival day, all day long, while HRIFF films are screening. HRIFF / Georgia St. Box Office is the HRIFF Main Festival Box Office. Any festival questions can be answered here. Will Call tickets can be picked up here. HRIFF / Georgia Street Box Office is Main Festival check-in area and Box Office. HRIFF / Georgia Street Box Office accepts Credit Card Sales, Will Call Pick-Up, Print Drop-Off, & general festival questions. HRIFF / Georgia Street Box Office is located at the ticketing window to the left of the Regal Cinemas Georgia St Entrance. Regal Cinema Ticket Windows (for Non-Festival Ticketing) are located at the corner of Georgia and Olympic, directly to the left of those are the Georgia St. Entrance to Regal Cinemas, where the HRIFF Box Office / Georgia Street MAIN BOX OFFICE is located. The only HRIFF Box Office that accepts CASH. HRIFF G1 West Box Office is open very limited hours, during first five (5) days of festival ONLY. HRIFF G1 West Box Office opens one (1) hour prior to first screening of the day, and closes as first screening of day begins. HRIFF G1 West Box Office is open for one (1) hour each day ONLY. For CASH sales: arrive 10-45min prior to the starting time of the first HRIFF film screening of the day (during the first five days of the festival). Go to the HRIFF G1 West Box Office and purchase tickets for any Hollywood Reel Independent Film Festival screening. Only Box Office accepting CASH. Opens 1 hour prior to first screening of day. Closes 15 minutes after the first screening of the day begins. Also accepts Credit Card Sales, Will Call Pick-Up, Print Drop-Off, & general festival questions. HRIFF G1 West Box Office (Limited Hours) is located outside of Regal Cinemas. HRIFF G1 West Box Office is located directly across from Regal Cinemas, in the corner of the G1 West Parking structure, at the corner of Georgia St & West St (and located between Gates E and F on the main street level). *If NOT making a cash sale, the HRIFF / Georgia St. Box Office at Regal / LA LIVE is open far more hours, and located far more conveniently at Regal Cinemas, and is the recommended box office to use. HRIFF G1 West Box Office is for those that have to use cash and have the time to show up early in the day to make accommodations for that. DO NOT contact venues with questions about film screenings, event times, ticketing, or any general festival questions. Venues only know general information about their particular venue. Send and festival questions to Info.HRIFF@gmail.com.